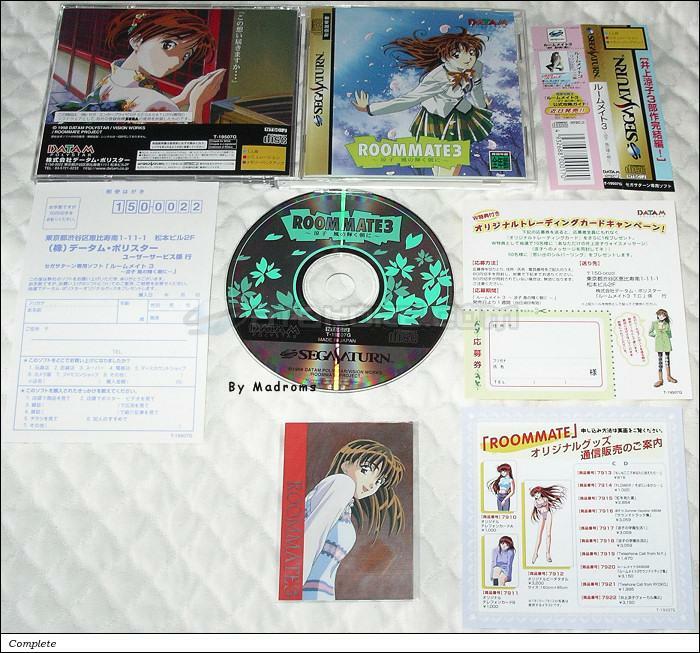 Roommate 3 ~Ryouko Kaze no Kagayaku Asa ni~ (ルームメイト３　～涼子　風の輝く朝に～) is an Etc game, developed by Vision Works and published by Datam Polystar, which was released in Japan in 1998 for the Sega Saturn. Trading Card Inoue Ryouko wearing a blue and pink sweater. 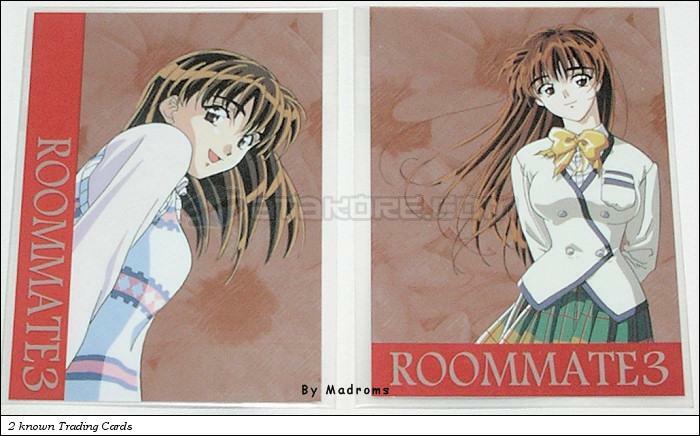 Trading Card Inoue Ryouko wearing a jacket, a yellow bow tie and a green and yellow skirt.